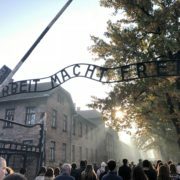 Following the Second World War Auschwitz-Birkenau soon became the universal symbol of the Holocaust where people from all over the world make the journey to Poland to pay respects to both the Jews and non-Jews whose lives were tragically lost there from 1941-1945. For years individuals have come to this location to learn about the everyday struggles of the prisoners of this camp and to keep the memory of the lost alive. 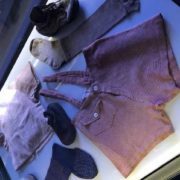 As of June 2013 the Auschwitz-Birkenau museum opened a new exhibition in Block 27 of Auschwitz I, the Shoah exhibition where visitors can honor the life, death, and memory of the murdered. After spending a day at both Auschwitz I and Auschwitz-Birkenau one may find the Shoah exhibition, as I did, the most emotional and eye opening experience of the day. 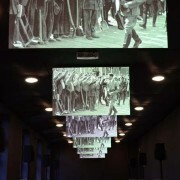 This exhibition is unlike any other throughout the camp. 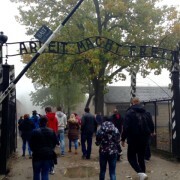 As opposed to the other blocks one visits at the camp, you are not guided through Block 27 by a tour guide explaining different aspects of life throughout the camp but instead this is a time where the visitor can remove the headphones from their ears and take in the exhibition in a different sense. 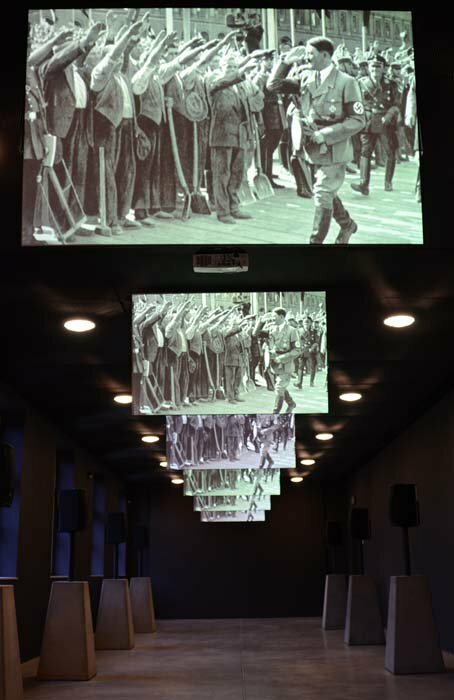 Entering Block 27 one will hear the soft sound of songs of prayer before moving on to an adjacent room where one is consumed by videos of Jewish life in Europe before World War II. 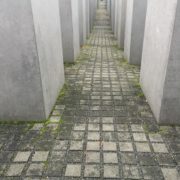 Standing in the middle of this first room I was faced with an overwhelming feeling of heartache as I was encircled with 360 degrees of video featuring the life of people who would one day be forced into a tragic ending. As you stand in this room and the videos play you see a young girl from Switzerland ice-skating on a frozen pond, shortly after that video fades another video appears followed by another and yet another. 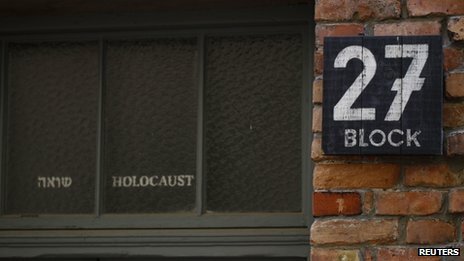 Those who enter this exhibition are forced to focus on how similar their lives are compared to the Jewish lifestyle. One is forced to recognize that we are all the same. Students appear on the screen singing and dancing, laughing and holding hands, and as I watched this video I could not help but smile at the pure joy on the face of these children featured on the video. The heartache comes from the idea that soon these children would not being singing and dancing together but instead awaiting an inevitable fate. I felt reluctant to leave this room, because for the first time it wasn’t videos of people living in a ghetto, it was not photos of people suffering inside different camps, it was just life as we all understand it. I wanted to be able to stay in this room, and pretend that these people I had just seen on the wall were still smiling along with their friends and family, I wanted to pretend that these people whose lives I had a glimpse into before the war where still as happy as I had witnessed. As we eventually made our way into the next section of the exhibition we were lead into room that shared the racist ideology of the Nazi-Germans. This room had videos of speeches given by those who wanted to rid Europe of all Jews followed by videos of all those who supported these leaders. 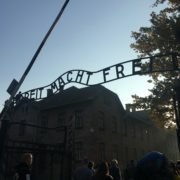 You see pictures and videos of people all over Europe, including children, raising their right arms to hail Hitler. The way in which they designed the organization of the Shoah exhibition is most likely the reason this exhibition hits so close to the heart. 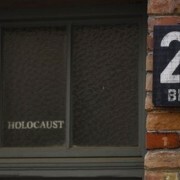 You are in a room where one can see so many parallels within your own life and the lives of the Jews pre-war followed by a room where all these people believe Jews are so unlike them, acting as if they are animals that should be slaughtered at all costs. It makes it almost impossible to put into perspective how these people could ever see themselves as so much better than the Jews. As I sit here in a small internet café collecting my thoughts on my experience throughout this exhibition I am reminded again and again how appalling it was to be in these two rooms of Block 27. Have you ever gone ice-skating, swimming, sang with friends and family, played games in courtyard with your friends? I have done all of these things, and if this is all the Jews did wrong how can so many people believe that the Jews had a right to die. It makes me question how many Nazi supporters took part in things such as these, and what would they think now if they were forced to see how similar their lives are to the people they murdered. It was never an easy concept to understand, how so many people saw themselves as such a superior race to the Jews when in all actuality their lives had an undeniable amount of parallels. 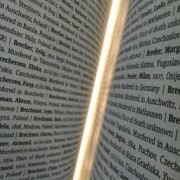 For me, the Shoah exhibition in Block 27 humanizes the Jews as they should be humanized, and dehumanizes those who thought them so be lesser than animals. 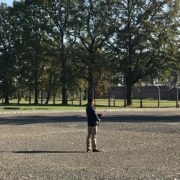 In Auschwitz-Birkenau one is faced with many emotions because we are faced with something that is hard to believe ever happened, and being in the places where it happened made it almost even more unbelievable. The new exhibition is designed in a way to remember Jews in a whole new different way. It gives you an opportunity to delve into their lives pre-war and emotionally connect through similarities between your own life and theirs.